Nicholas Winton, a politically inclined British stockbroker, visited Prague in 1938. He witnessed the Nazi invasion and absence of any kind of help for Czechoslovakian people. Winton was a 29-year-old British. His parents were Jews, but he was baptized into Christianity. He was a stockbroker who was aware of political happenings with a Socialist mindset in London. He changed his holiday plans to visit Swiss Alps, yet instead, he decided to visit Prague on the insistence of Martin Blake in December 1938. Martin Blake was a socialist involved with Jewish Welfare work. Nazism was firmly taking hold of Central and Eastern Europe at the time. The Jews were fearing for their lives in Prague as Nazis had invaded Sudetenland two months earlier. Although relief agencies were organizing a mass evacuation of Children in Germany and Austria, Czechoslovakia was largely ignored. Nicholas started meeting these frightened parents who were desperate to send their children to somewhere safe. Then, he began compiling a list of their names. He organized an operation, later known as Czech Kindertransport. This operation rescued 669 children (mostly under 17) from ending up in Nazi concentration camps. The children were rescued by eight trains, and they crossed four borders including Netherlands. The first train departed on 14th March. They were given to foster families after arriving in the UK. Nicholas Winton himself remained in Prague for mere three weeks. He established his office in his hotel room in Wenceslas Square. After that, he organized the operation of rescuing Czechoslovakian children and planning their transport from Prague to Liverpool street station, London. He returned to Britain and did everything to ensure that Kindertransport was successful. He dealt with bureaucratic hurdles like ensuring entry and exit permits. Also, he ensured that each arriving child had the £50 guarantee for their eventual return. He and his mother used to receive these bewildered children with name tags at the station. They did everything possible to put them in foster homes, furthermore, they sometimes even forged documents. Winton, however, believed that his associate Trevor Chadwick and others did a much braver act in a dangerous situation at the other end in Prague dealing with Gestapo and arranging trains. Eight trains carried 669 children in a period of 9 months in 1939. The last train was set to leave on September 3 with 250 children, but it didn’t. Nicholas Winton’s heroic act was brought to light by his wife, Grete, who discovered the files of Czech Kindertransport. She showed it around and the story ended up on Esther’s That’s Life! in 1988 gaining Winton a worldwide reputation and a knighthood. Sir Winton took his last breath at the age of 106. Winston put those nine months behind him, and after World war II, he worked for the International Refugee Organization. Also, he never mentioned much about Kindertransport in his daily life. The Czech Kindertransport and Nicholas Winton became famous by chance. His wife, Grete, discovered documents relating to Czech Kindertransport in the attic. Then, she started showing them to friends. The story eventually ended up with Esther Rantzen of That’s Life!. In a touching broadcast in February 1988’s That’s Life! episode, Nicholas Winton came face to face with a room full of children saved by him during Holocaust. The broadcast got him international fame. In 2003, he was knighted for his humanitarian efforts of Czech Kindertransport. Hence, Sir Winston became a celebrity and a hero in Czechoslovakia. 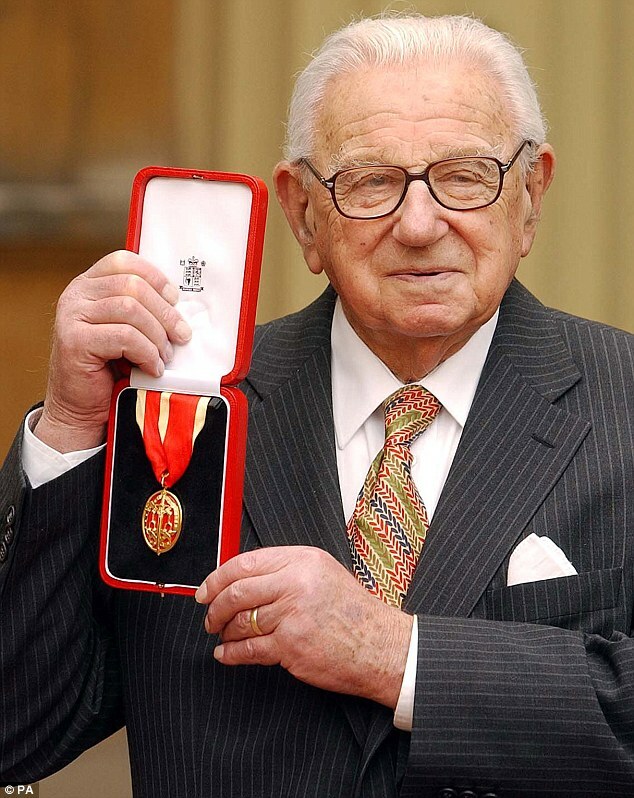 Sir Nicholas Winton took his last breath on July 1, 2015, in his sleep at Wexham Park Hospital at the age of 106. Then, his death was mourned by prominent personalities including British Prime Minister David Cameron. Czech Kindertransport was a combined humanitarian effort by British Cabinet, people like Nicholas Winton, Trevor Chadwick, Doreen Warriner, Beatrice Wellington, and the other many including the Foster parents who decided to take these children in. The UK passed the 1938 Act of Parliament that allowed entry of refugee children (under 17) in Britain. The condition was that the stipulated money must be deposited beforehand for their eventual return. Thus, Relief Agencies sponsored the transport of these Czech Jewish children. Moreover, Sir Nicholas even tried to communicate with Roosevelt so that even the US could give refuge to these children. However, it was not fruitful. Of the 669 children rescued by Czech Kindertransport, 370 could not be traced. Among the children rescued, there was the Filmmaker Karel Reisz and British labor party politician Alf Dubs. These children are lovingly known as Nicky’s children.